We pickup/deliver to Brisbane from the Sunshine Coast. The Sunshine Coast's Hinterland is no hassle either. 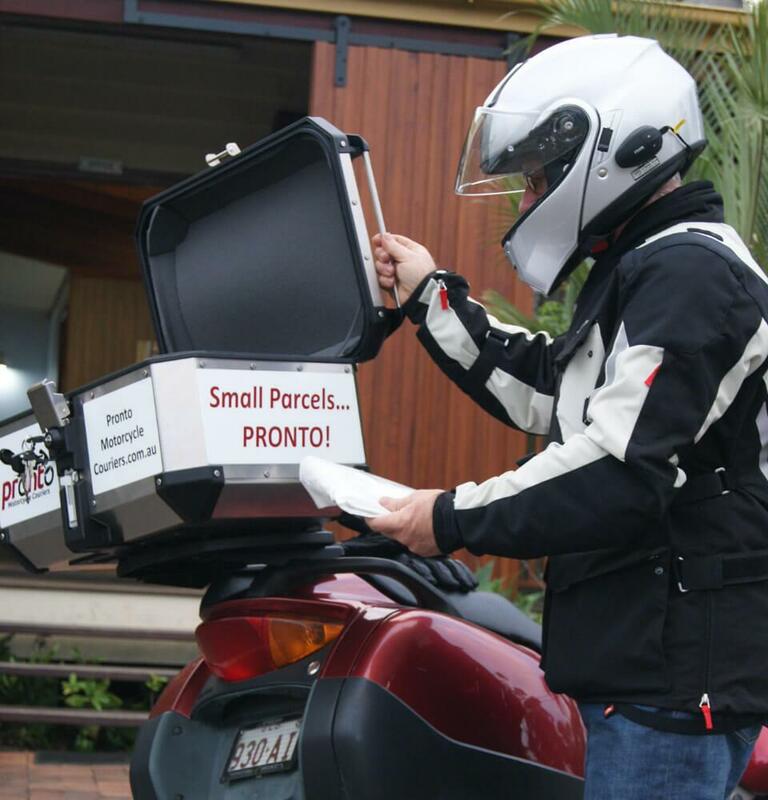 If you need small parcels delivered pronto, look no further than Pronto Motorcycle Couriers. We’re not your average courier that picks up and delivers large amounts of parcels to a large number of clients. Instead, we offer a premium motorbike courier service that caters for one client at a time, ensuring your item is delivered swiftly and efficiently without any other deliveries in between. We are a courier service based on the Sunshine Coast, also servicing Brisbane and beyond. Whether you need a standard courier Sunshine Coast to Brisbane or a same day courier Brisbane to Sunshine Coast, we have you covered. We deliver anywhere within Southeast Queensland, so feel free to send us an enquiry at info@prontomotorcyclecouriers.com.au if you need a delivery that is outside this area. Our staff have been involved with different aspects of the transport industry for many years. As the coast has grown, we’ve seen the need also grow for a courier service between Brisbane and the Sunshine Coast that will deliver small parcels quickly and efficiently. We specialise in delivering tools to tradies, documents to solicitors/accountants, daily banking for businesses, and much more. We also offer a medical courier service for when medical or veterinarian industries need samples or supplies delivered urgently. Visit our ‘Items We Carry’ page to learn more. The vehicles used for our courier Sunshine Coast to Brisbane service are in excellent condition. We only use models that are renowned for their reliability and efficiency. The motorcycle’s lockable luggage compartment measures 45cm long x 30cm wide x 25cm deep and holds up to 9kg. It is of a robust construction with a soft inner lining and is both waterproof and dustproof. For banking and other valuable or confidential items, a tamper-proof, non-transparent satchel is used. The vehicles also use GPS navigation to ensure our delivery times are the shortest possible. Our vehicles are equipped with Bluetooth communication so we can stay in contact at all times. Your courier is committed to road safety, so you know your package will arrive safely. Your courier will also be easily identifiable, with our logo on the front and back of a high-visibility vest, fully decked out with protective riding gear. 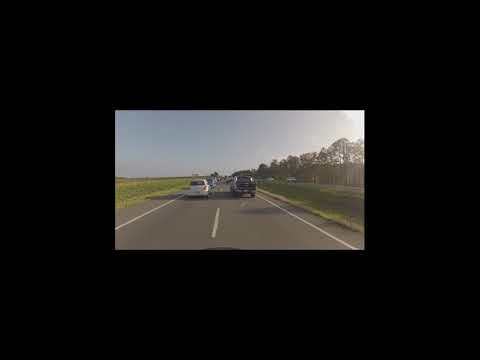 We believe that you, our customer, is of the highest priority, which is why we only employ the best of the best for our motorbike courier service. For additional peace of mind, we also require a transport department and police check for all couriers. To learn more about our same day courier Brisbane to Sunshine Coast and beyond, or to make a booking for our services, get in touch with our team today. Whether you need to transport documents efficiently or you require a medical courier service, you can trust Pronto to get the job done. Submit an online Enquiry Form (located via the ‘Get A Quote’ button or page), and we will email you a quote within minutes. On acceptance of our quote, an invoice will be emailed to you immediately where you are directed to pay via a secure online payment facility (using MasterCard or Visa) As soon as payment has been made, a courier will be despatched to the parcel pickup address. Your parcel will be delivered to the drop off address and signed for by the nominated authorised person. A text message will be sent to you advising that the job has been completed. Contact us for all your small parcel deliveries – we deliver safely and securely! © 2019 Pronto Motorcycle Couriers. All rights reserved.